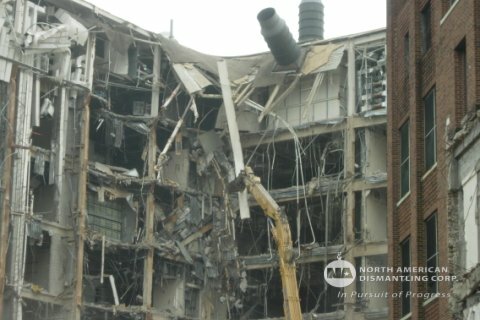 Demolition | North American Dismantling Corp. 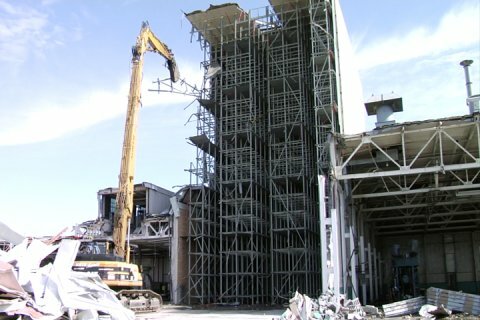 The Compuware project consisted of the removal of approximately 400,000 cubic yards of earthwork soils and site clearing which included the demolition, excavation and removal of approximately 16,000 cubic yards of existing reinforced concrete, including foundation walls, footings, grade beam, columns, slabs and other buried debris. Site excavation was to the face of soldier piles in an earth retention system. 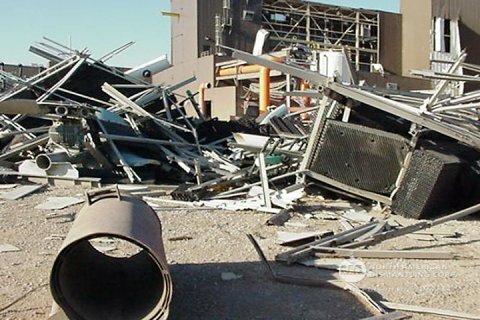 Site demolition also included the removal of an abandoned Detroit Edison steam tunnel that included asbestos abatement procedures. 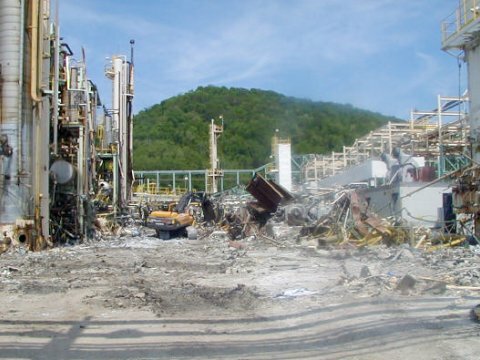 In addition to the excavation of existing materials NADC was responsible for continual site dewatering and soil erosion control, dust control and the installation of new fire hydrants on the site. 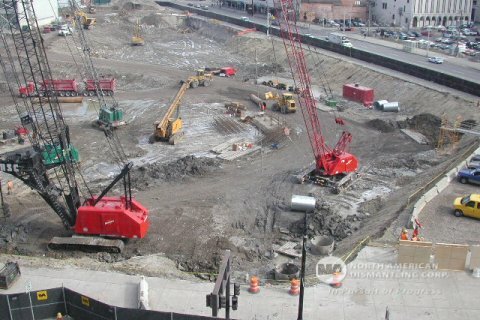 Another hurdle to over come was the proximity of the Detroit People Mover and Sub-station to the excavation site. This required the submittal of a detailed construction and protection plan of existing structures prior to commencing of construction and excavation. 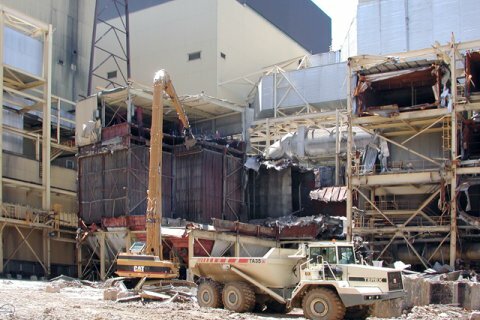 This project consisted of the purchase, environmental decommissioning and dismantling of the approximately 2,300,000 square feet of the existing GM manufacturing facility located in Anderson, Indiana including a two-story office complex, a five-story powerhouse and an 85 feet tall stacker building to 4’-0” below existing grade. 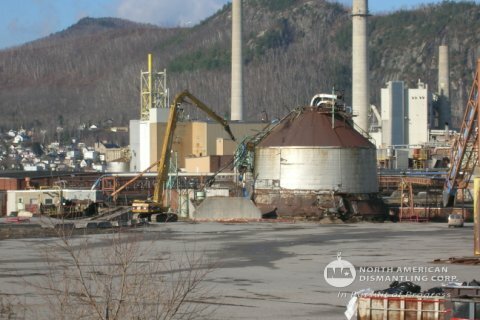 Included in the scope of work was the removal and recycling of all exterior concrete and asphalt totaling over a 1,000,000 square feet of hard surfacing. 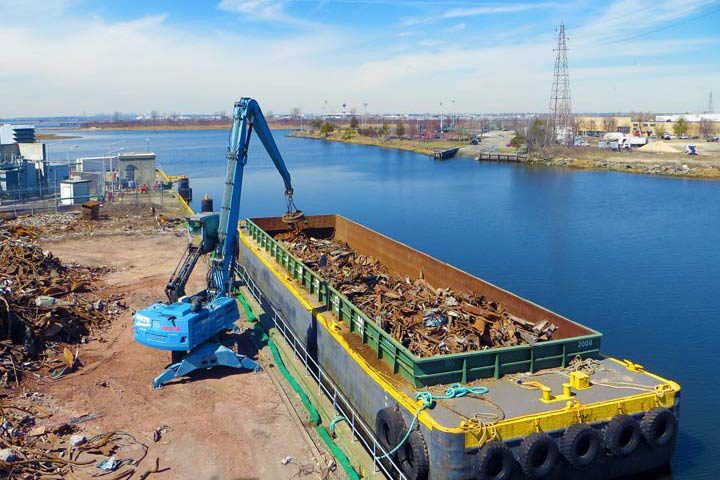 North American Dismantling was responsible for developing a site specific construction storm water pollution prevention program the included the grading, topsoil and seeding of the 91 acres effected by the demolition. Major sales of usable process and electrical equipment. 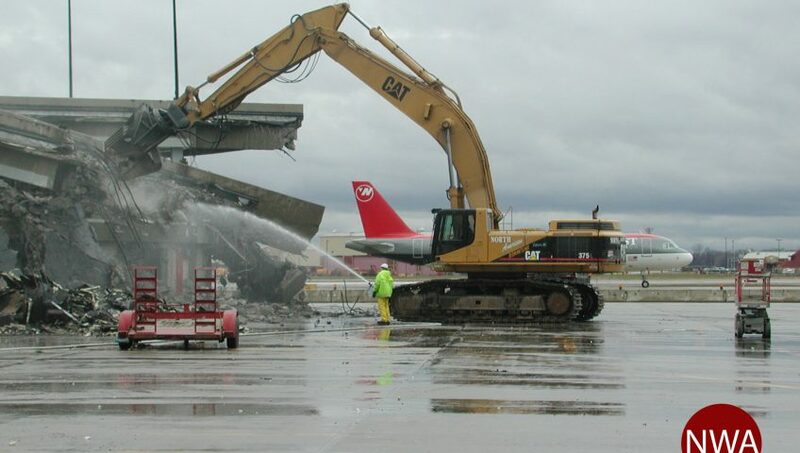 North American Dismantling was contracted by Northwest Airlines as General Contractor to design, demolish and build structures known as Concourses C, D, E, F, and G at Detroit Metropolitan Wayne County Airport.The design phase of the project consisted of pre-design, concept design, schematic design, 30% Design Development, 75% Design Development, 100% Design Development, shop drawings and as-builts. These design drawings included all demolition areas, architectural systems, structural systems, mechanical systems, electrical systems, security systems, all systems to remain active, a safety phasing plan to be submitted to the FAA, and all new construction located at interface of facilities to remain. Prior to the start of the project North American Dismantling constructed a Jersey Barrier Wall around the perimeter of Concourse D, E, F, and G and a separate wall around Concourse C. The Barrier Wall was approx. 4’-0” in height, every 20’-0” flashing yellow lights, stripping on taxiway side. The taxiway side of the Barrier Wall was 75 ft to 130 ft from the center of the taxiway and 50 ft from the edge of the structures to be demolished. Aircraft would come within 10 feet or closer to the Barrier wall on a daily basis. Concourse C consisted of approximately 55,200 sq.ft. It was a one story raised steel structure set on concrete columns 20 ft high and approx. 700 ft long, 80 ft wide and 20 ft high. The separation of Concourse C from the existing terminal was conducted on an expansion joint west of Gate 12. It was located in an active area where planes were loading and unloading passengers continuously. Dust control measures were applied using fire hoses and man lifts. Concourse D was a concrete structure including a concrete roof approx. 36,400 sq.ft set in footprint consisting of two floors totaling 72,800 sq.ft. It was approx. 40 ft long, 80ft wide and 40ft high. The first floor was set over a existing tunnel are approx. 310’x25’x14’ and a concrete wall was installed in the tunnel at the separation point prior to the opening of the tunnel. The separation point from the existing terminal was at Column line 5 to maintain functioning mechanical rooms and egress.